Teachers shouldn't teach for free. She loves teaching so much that the school district gets a paycheck from her. The Chester Upland School District in Pennsylvania is $22 million in the hole and can’t currently guarantee teachers that they’ll be compensated for their work. Yet teachers are going back to school on Wednesday without paychecks, after their union voted unanimously to work without pay as the year begins. It’s happened before in the same district: In 2012 it faced a similar financial shortfall, and teachers agreed to work without pay. Other educators have made the same move under similar circumstances: In 2013, for example, a small district in Michigan ran out of money to pay teachers before the end of the year, yet the teachers decided to keep going. The motivation is noble. But the decision is not beneficial for Shelton and his fellow teachers, and by extension it’s not beneficial in the long run to the children they care about. 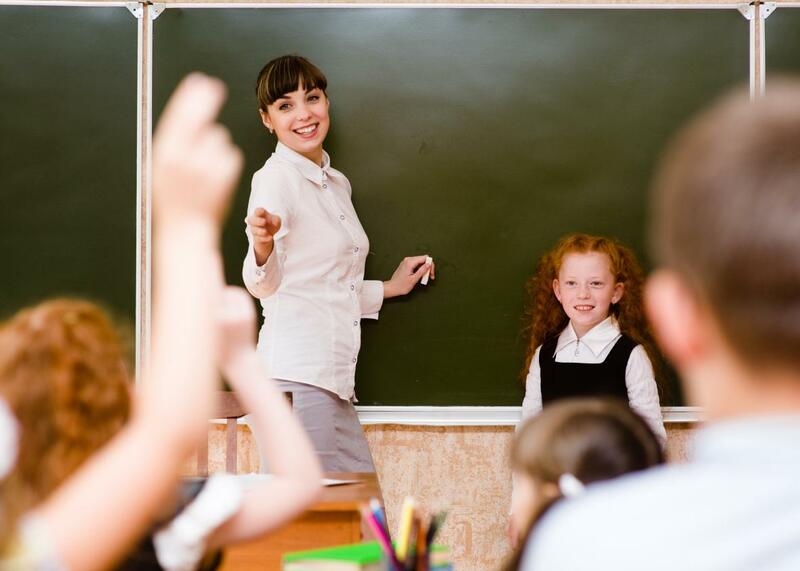 The teaching profession is already vastly underpaid and underappreciated. Shelton and his fellow district employees get good grades for best intentions. But no teacher should agree to work for free. Elementary school teachers make about $53,000 a year at the median; middle school teachers make slightly more than that, and high school teachers make slightly more than $55,000. That’s not minimum wage, but teaching is also not a low- or even medium-skill occupation. It’s one that requires significant training and education. Teachers have to have at least a bachelor’s degree; many are required to have a master’s. They have to know how to manage a crowd, tend to a variety of emotional needs, comply with state requirements and regulations, not to mention pass on critical knowledge to a group of children in their formative years. Yet when compared with workers with the same or similar credentials, teachers make a whole lot less. Those who work in public schools and belong to a union have the smallest pay gap compared with other college-educated workers, but they still earn about 13 percent less than their peers outside the profession. Private school teachers who aren’t unionized have the biggest gap, making more than 30 percent less. Teaching has gotten caught in the “women’s work” trap. It’s a field dominated by women, where they make up about three-quarters of all workers. And unlike college professors, who make closer to $69,000 at the median, K-12 teaching is more closely associated with care work. That’s because of the idea that K-12 teachers do it out of passion and devotion, not out of a sense of professional ambition or monetary gain. The most underpaid sector of care work—that is to say, women’s work—is child care. Child care workers are paid far less than teachers—even preschool teachers—and make about $10 an hour. They’re paid on par with fast food workers, parking lot attendants, and bartenders. Yet they care for and nurture the country’s youngest, most vulnerable children. Care work is still seen not as work; it’s seen as something women just do. Something they would do even if they weren’t paid. This is the dynamic that the teachers of Chester Upland are playing into by deciding to work for free. The message they send about their work—and the work of all teachers—is that it is motivated by love, not money. That weakens the call to pay teachers more money, or any money at all. Underpayment, in turns, weakens the education system. After years of budget cutting during the recession and recovery, the workforce is missing a whole lot of educators. School districts have eliminated 313,300 teaching jobs since the recovery began in June of 2009. Public school enrollment has continued to increase in the same time frame, which would normally necessitate hiring even more teachers to keep up. With that growth taken into account, as of October of last year there was a 377,000-person shortfall in teaching positions. Now that states and towns are spending more on education, they’re having a hard time enticing people back to the field. Pay is a huge piece of this puzzle. Why would a smart, talented young graduate seek out a devalued, underpaid profession when she could take her skills elsewhere?